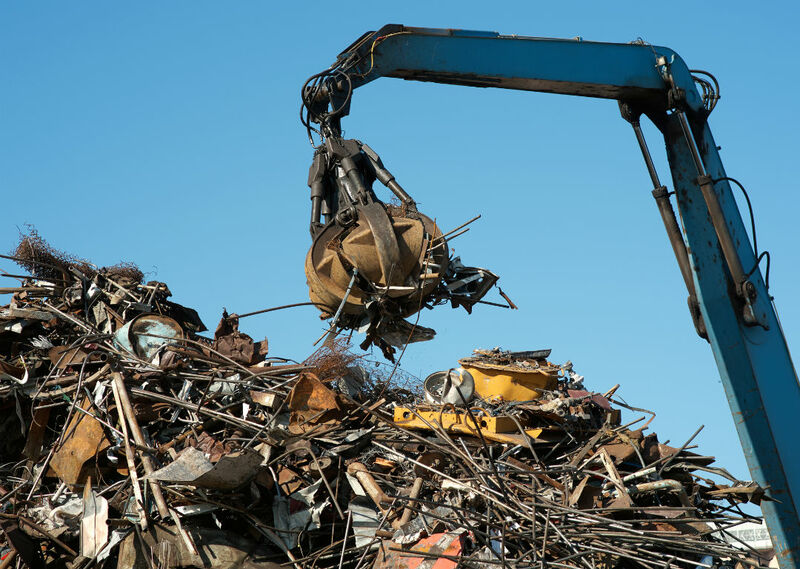 Industrial Scrap – How do we recycle it? In 2017, the Union Cabinet approved the National Steel Policy (NSP), with an aim to raise India’s steel production capacity to 300 million tonnes (MT) by the year 2030. From 110 MT in 2013-14, steel capacity increased to 134 MT in 2017-18, with 7 MT added in 2017 alone. Central to the idea of implementing this policy was the availability of vast quantities of steel scrap in the country. Instead of importing steel scrap at high prices, India could simply recycle and reuse the scrap available at home. A large part of this scrap comes from old vehicles. But another major factor that contributes to this boost for the Indian steel industry is industrial scrap. So, what is industrial scrap? Manufacturers of products such as TVs, fridges, cars, etc. buy raw material to create these items. But not all of the raw material is put to use. Often a lot of byproduct is left that cannot be used by the manufacturers for any other process. Other times, a product may be defective, and the manufacturer may choose to junk it if it is irreparable – some manufacturers do not bother considering repairs as there are fears that a product with defects in the early stages may keep developing problems down the line. Either way, there is a significant amount of material that is left unused after the manufacturing process. This material ends up being sold for scrap. This is what is generally referred to as industrial scrap. In this process, the materials made of metals are collected. Collectors will often forage in scrap yards in search of items that are made of metal, either wholly or in part. Sometimes though, recycling companies will directly collect the material from mills and factories where it becomes available. It is important to sort out the recyclable metal from the non-recyclable material so as to ensure that the crude metal is of a good quality. Hence, careful sorting is done once the scrap material is obtained. The metal obtained from the scrap material is crushed and compressed into cubes. Sheer/balers are used for this process. This is the more well-known part of recycling industrial scrap and metal obtained from cars. The metal cubes are shredded and then further compressed into smaller strips and sheets of metal. In smaller sizes, less energy is used to melt the metal obtained. Also, this process depends upon the type of metal, e.g. aluminum is converted into sheets while steel is converted into smaller blocks. Each type of metal has a specific furnace designed for melting it down. The furnaces are heated to the appropriate temperature required to melt the metal. The molten metal undergoes various purification methods. Again, this depends upon the type of metal. The methods include electrolysis, magnetic separation, etc. After the purification process, the metal is cooled in another chamber. This is followed by the addition of chemicals to allow the metal to obtain its density and other properties. This process allows for the metal to be given a shape. Once all of this is done, the purified and appropriately shaped metal is then sent off to factories and mills, to be used to manufacture new products. Cero, a joint venture between Mahindra and MSTC, not only recycles end-of-life vehicles, but also industrial scrap.